Using effects like reverb, delay and modulation is standard practice in the recording studio — you’ve no doubt heard it all over your favourite records. 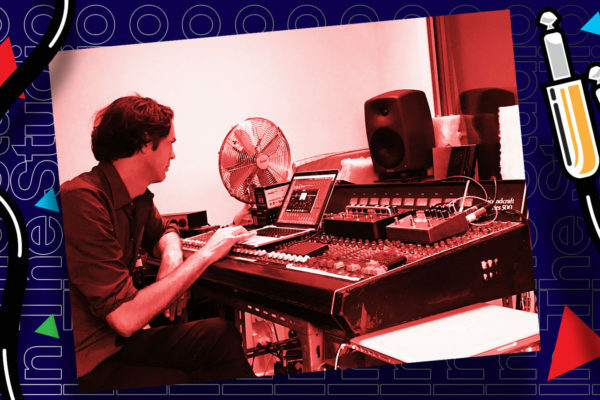 But we’re not here to delve into the intricacies of getting the right effects settings on a recording, but rather how we can go about using these tools to recreate that desired vibe in a live performance. Whether you’re working with an analogue or a digital mixing console, you’re most likely going to have some sort of effects processor at your disposal. It may be a single rack unit such as the Lexicon MX300, or with a built-in effects engine as with the Soundcraft Signature 16 (for the analogue lovers) or the Soundcraft Ui24R (for the digital heads), you’re generally going to have more effects at your fingertips than you could throw a stick at. So, what’s important and what are some essential elements that we need to consider? No matter what effects unit or built-in processing you’re using, you’re going to have a choice of numerous different effects types, the obvious ones being reverb and delay. But within these effects there’s options as well. For example, applying spring reverb to a vocal is going to make it sound different to how a plate reverb would, just like how a slap-back delay is going sound wildly differeny to a ping-pong delay. So how do you choose? Well, as obvious as it may sound, a lot of it comes down to the style of music are you mixing. Unless you’re working regularly with a band and know their vibe really well, knowing your music genres, what effects suit those genres and how much to dial in, is going to help you get a nice balance of effects in a live mix. If you’re mixing a psych/dream pop band, for example, giving the vocals a healthy amount of reverb and delay is (most likely) going to be fine. The same if you had some lengthy delay throws for the vocalist of a dub band. However, if you applied the same effects to say a folk singer/songwriter’s vocal, it’s fair to say you may get a few looks of confusion from the artist, and would likely take away from the intimacy of the performance. Having an eclectic musical understanding is going to give you some great starting points to dialing in the right effects for your artist and from there you can start to become more creative. Once you’ve chosen the right effect for the job, there’s then the manipulation of certain parameters that comes into play. Depending on your mixer, you’re going to have a varied amount of control. An analogue mixer with a built-in digital FX unit is likely to have a little less parameter control compared to a dedicated rack unit or digital mixer, but sometimes you don’t need all the bells and whistles to get the job done. Most digital reverb algorithms are creating the characteristics of a specific space or type of reverb, for example, a hall/cathedral space or a plate reverb. These different spaces are going to have different acoustic surfaces and properties. A cathedral reverb will obviously sound much larger than say a room or studio reverb sound, which will have a much shorter decay. Having some filtering controls on reverbs and delays can be really useful. Having too much low-frequency dialed into a reverb effect can quickly muddy up a mix. Applying a high pass filter to the reverb can really help clean things up and leave space for the instruments that occupy that frequency space. 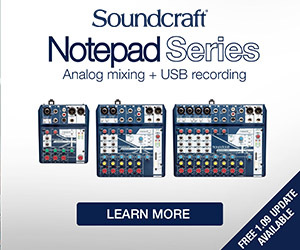 Some systems, like Soundcraft’s UI series, take this control a step further and give you full EQ, Gate and Compression control over your effects. Gating your reverb can also create some unique sounds (cue Phil Collins’ “In the Air Tonight”). Having parametric EQ control of your effects can really help shape the character of your sound source, without having to apply drastic EQ to the vocal channel itself. If you’re going for that “Abbey Road” reverb chamber sound, try applying high and low pass filters and a little boost across the midrange. 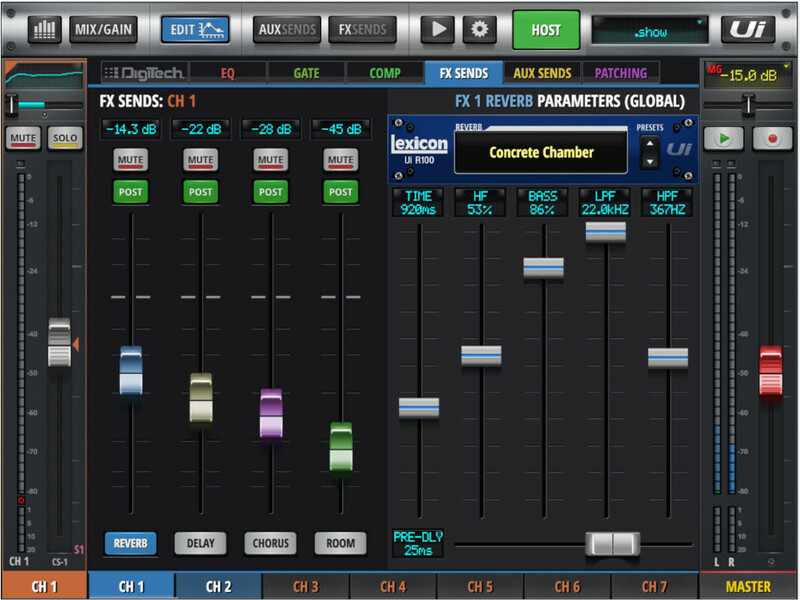 Another parameter that can really come in handy with reverb specifically, is pre-delay. Having the ability to control when the effect is heard can be really useful for creating space sonically around a vocal and where it’s placed in the room, upfront or further away. 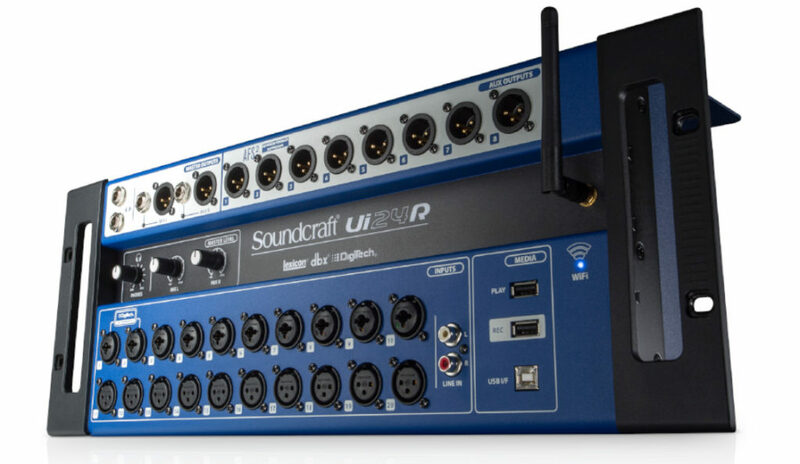 For those Soundcraft Ui24R users, you can experiment with this parameter on the latest V3 firmware update. Just like in the studio when you’re tracking a vocalist, setting up the right monitor mix is integral to capturing their best performance. 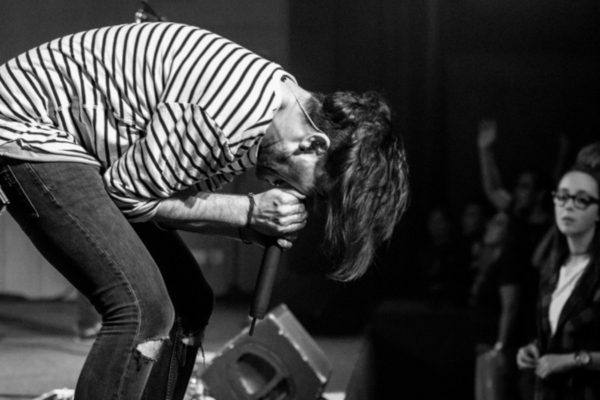 Aside from a singer actually being able to hear themselves properly through a wedge or in-ear monitors, dialing in just the right amount of “vibe and ambiance” into their mix can really help with their performance. While some singers like a super dry mix in their foldback, most will likely ask for some verb, so having this setup ready to go will help speed things along and have a singer really beaming with confidence and singing at their best. Most effects units and digital mixers have at least a couple of FX returns, seeing four stereo FX returns isn’t unusual these days. Having all these returns is really helpful for creating space and separation of your sound sources. Much like when you’re listening to your favourite records, the reverb sound you hear on the snare drum is going to different to that on the lead vocals. This also allows you to have separation on your reverbs, delays and modulation effects, so you’re not forced to make the dreaded decision of choosing one over the other. You could have a dedicated reverb for, say your instruments (a room/studio reverb), and another for vocals (a larger plate or hall) — add to that a couple of separate delays (a slap back and a longer delay for example) and you’ve got yourself one powerful setup. 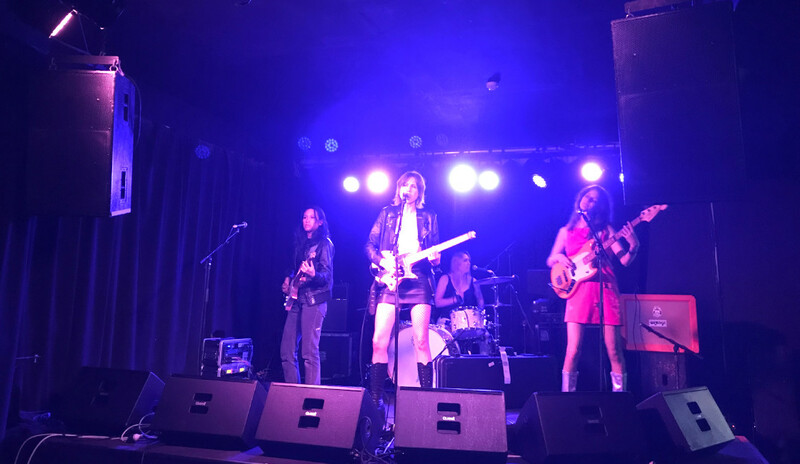 Every gig is going to be different and as you mix wider varieties of bands and styles of music, you’ll likely develop some go-to effect settings that work for you. For many acts, the age-old saying “less is more” is certainly relevant. Dialing in small, subtle amounts of reverbs and delay can help create a real space and vibe to the sound without overpowering the mix and taking away from the performance. For those acts that want things more obvious, go nuts! 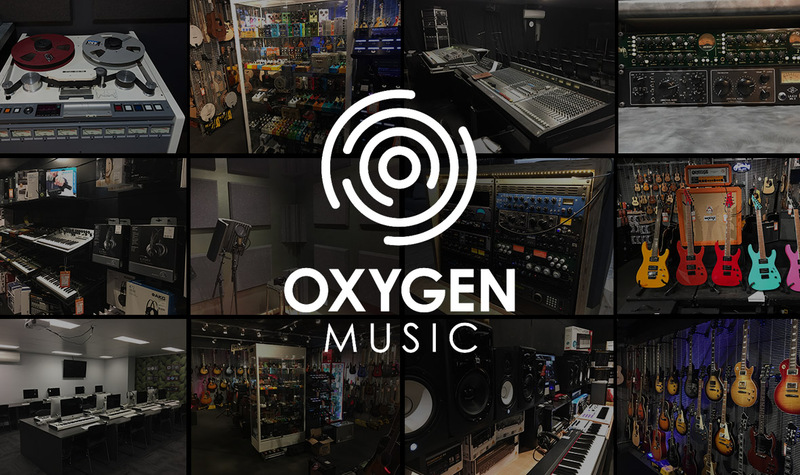 Getting to know your effects types, their available parameters, and when to use them will put you in good stead for creating a really interesting and creative mix for the artist, audience, and you the engineer to enjoy.